The first session on 'Reformation through Education' was chaired by Sh. 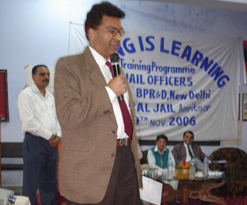 Ashok Kumar Sood, IPS, Additional Director General of Prisons, Himachal Pradesh. Prominent key speakers in this session were Dr. R. K. Bedi, Professor and Director, Department of Adult Continuing Education and Extension, GNDU, Amritsar, Sh. 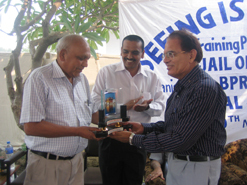 Avinash Mahindru, Chairman, Bharatiya Vidya Bhawan, Amritsar and Dr. B. M. Aggarwal, Regional Director, IGNOU, Khanna, Punjab. The second session on 'Problems of Undertrial Prisoners and Applicability of the Legal Services Authorities Act' was chaired by Dr. Gurjeet Singh, Vice Chancellor, Rajiv Gandhi National Law University, Patiala. The Key resource Persons in this session included: Dr. Rattan Singh, Professor, Faculty of laws, GNDU, Amritsar, Advocate Vipan Bhasin, Past President Rotary South and Senior Member, Amritsar Bar Association, Dr. Viney Kapoor, Reader in Law, Department of Law, GNDU, Amritsar, Sh. Varinder Aggarwal, Chief Judicial Magistrate, Amritsar. Sh. Gurdev Singh, District & Sessions Judge, Amritsar was the special guest at this occasion. The third session on 'Educational and Vocational Training for Female inmates' was chaired by Dr. B. V. Trivedi, Assistant Director, BPR&D, New Delhi Dr. S. P. Singh, Former Vice Chancellor, GNDU Amritsar. Prominent key speakers were Rtn. Sudarshan Kapoor, Rotary Club Amritsar, Amrita Bahl, India Vision Foundation, Dr. Paramjit Singh, Dr. Sukhminderjit Kaur & Ms. Shaminder Bawa, Asstt. Professor, Home Science, Krishi Vigyan Kendra, Amritsar, Sh. Akshay Mehra, Regional Manager, State Bank of India, Amritsar. Sh. 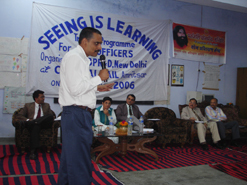 HR Chadha, IPS, the then ADGP Prisons Punjab was the special guest on this occasion. The fourth and final session on 'Drug Menace, HIV/AIDS in the Prisons' was addressed by Dr. Jayadev Sarangi, Prison Expert, UNODC, ROSA, New Delhi, Ms Medha Agnihotri, Project Coordinator, SEHAT, India Vision foundation, Dr. RS Sandhu, Professor of Sociology and Coordinator Drug De-addiction and Rehabilitation Centre, GNDU, Amritsar and Sh. C. R. Garg, DIG (Prisons), Central Jail Tihar, New Delhi. Addressing the valedictory session, Dr. Kiran Bedi, IPS, DG, BPR&D emphasized to inculcate basic human values in the public service. 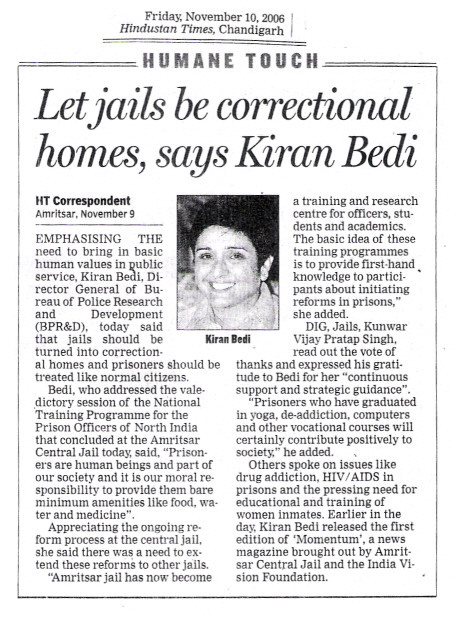 "Jails should be converted into correctional institutions and every prisoner should be treated like a common citizen despite being lodged in the walls of prisons. 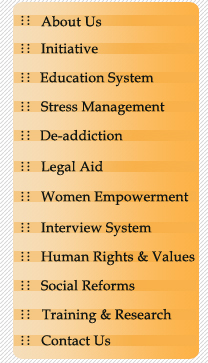 They are also human being and part of our society. It is our moral responsibility to provide basic minimum facilities like food, medicine, drinking water to the persons lodged in the jails" she added. 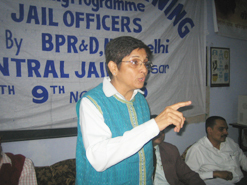 Appreciating the ongoing process of reforms in Amritsar Central Jail, the first lady IPS officer asked the participant officers to initiate similar programmes in the other jails of India. Sh. 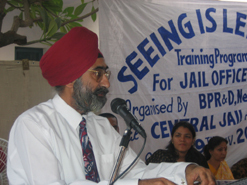 Roop Kumar, Superintendent, Central Jail Amritsar, Sh. 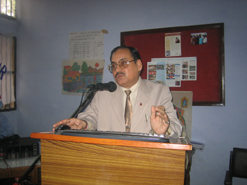 Vijay Kumar, Sh. R. K. Sharma and Sh. Balkar Singh Dy. Superintendents, Ms. Medha Agnihotri and Amrita Bahl played a key role in organizing this training programme.